Breast cancer will affect 1 in 3 of us women. Rather than wait for that fateful diagnosis, today I’m going to teach you what you can do to PREVENT it. Make no mistake, if you take this seriously and be consistent with the recommendations, you can avoid being a statistic. Cancer doesn’t happen overnight. You don’t “catch” cancer like you do a cold. A cancer diagnosis means something was brewing for a long time. Months, maybe years. Too often, it’s a reflection of our daily lifestyle choices, and I don’t mean just our diet. Restore Iodine in your diet. Iodine deficiency is a real problem and one that is easily solved. Order some nascent iodine. For nearly a century, nascent iodine has been regarded as a more effective form of the mineral than many dietary iodine forms, such as potassium iodide. In fact, most forms of dietary iodine become iodide in the digestive tract. This is important to note because iodides are not as easily absorbed and utilized by the body, meaning that iodine-dependent organs and processes may not be adequately supported. When you receive your nascent iodine in the mail – and it will be in a liquid form – place the drops on your tongue for maximum absorption (talk with your health care provider about dosing for your unique situation or follow the basic instructions on the label). And supplement with a high quality, bio-available form of zinc like ionic zinc. I use doses of zinc from 15 mg a day and up, depending on the situation. Again, follow label instructions or work with your health care practitioner. You may also opt to replace some of your daily beverages with a mushroom-based, immune strengthening tea like Chaga or Reishi. Pathogens are a force to be reckoned with. They are one of the four causes of chronic disease. For a variety of reasons, we don’t currently have trust-able testing to identify pathogens that might be a piece of the puzzle. We are exposed to more than you know. Besides this list, don’t forget that we are still affected by Chernobyl, as well as the recent Fukushima. Dental x-rays – ask your technician to use an extra mat, insuring you not only cover your thyroid but ALL body tissue. X-rays scatter and enter elsewhere in the body (no matter what they tell you). Personally, I also only get x-rays every few years since my history of cavities is minimal. I see it a lot like the guy who changes your oil and also wants to see you a new air filter. I don’t usually need the extra service. Airports – ask for a manual screening. Plan on an extra 10 minutes at security. I only do a scanner if something went terribly wrong and time is of the essence. Mammograms – opt for a non-radiation procedure (thermogram for example). Microwaves – move them out of the kitchen. We keep ours in the mud room and in the RARE occasion we need to use it – for food or a heat pack – we walk out of the room. If you do have to use one, at least don’t stand in front of it while it’s in use. The bulk of your diet needs to be fruit, veggies (starchy & non-starchy), and leafy greens. You need to be 100% gluten free….and if you do choose gluten free grains, the best are quinoa and millet. Even then, limit to 1/2 cup cooked a day or just be grain-free. No eggs – not even free range organic. This is critical as eggs feed tumors. No dairy – not even from pasture raised animals. Dairy also feeds tumors. And I am including ghee in this list. In high risk cases, I would advise against eating any animal protein, and instead choose avocado’s and coconut oil. If you must have some animal protein, opt for wild salmon, but limit it to 2x/week. No pork. None. Give up refined/processed sugar)s). Choose only raw honey which is a health food as it contains over 200,000 phytochemicals. Start the day with 1 quart of lemon water, on an empty stomach, to flush toxins your body processed overnight. Get a juicer and start juicing daily. Natural or not, hormones are hormones. Bio-identical hormones have not been around long enough to have quality safety data on them. They are still hormones. If you are taking hormones because of symptoms like hot flashes or insomnia, know there are other answers. This includes thyroid hormones as well. Hypothyroidism indicates a low-level viral infection. Hashimoto’s indicates an aggressive strain of the EBV virus. Either way, thyroid replacement is just managing symptoms, but has not addressed the real root cause (the virus pathogen). Eat more cilantro, parsley, radish greens, onions, garlic, turmeric, pomegranates. If you have a clean source, wild dandelion greens are also amazing. Reducing your toxic burden includes but is not limited to eating more organic food, learning about safe personal care products, discontinuing hair dying or doing something safer than typical options, etc. This is a HUGE topic. Big enough that I have a 4-hour downloadable Detox E- learning course on it all. Easier said than done but it’s CRITICAL to get some true down time. Each day, not once a month. Spend time doing things that bring you joy – whatever those things are. It might be knitting, gardening, praying, walking, watching sunsets, cuddling with your pet, sitting in the sun, walking on the beach. I think most of us know in our souls what grounds us. So do it! Be purposefully joyful! Attitude is critical. What do you think? Hopeful? Overwhelmed? Comment below. If you have any of the medical conditions listed above and are just managing symptoms – whether that is with “natural” supplements or medications, please know you can heal. And cancer – of any kind – is not a given if you know what to do. When I work with clients on a one-on-one basis, we drill down on these area’s even more. It is my mission in life to help people out of our broken medical system. 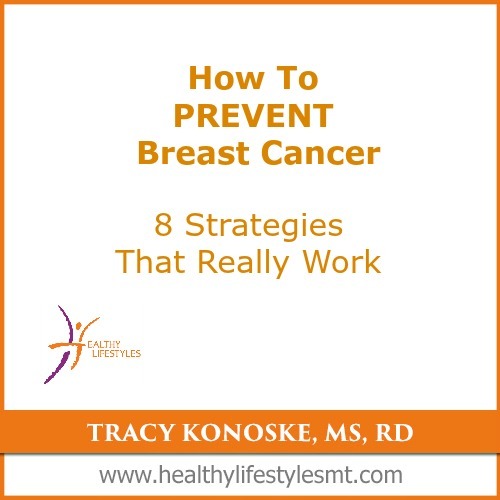 I pray you find this article helpful…and I will see you shortly with the next in this series on mammograms.